A mother who pushed her toddler son on a swing for two days until he died has been spared jail. 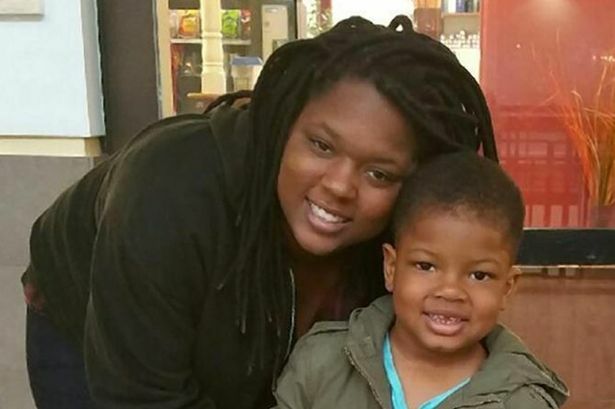 Ji’Aire Lee , aged three, was found by police in La Plata, Maryland, after reports a woman had been seen pushing a child in a swing "for several hours",the Daily News reported. The tot was found to have died of dehydration and hypothermia after being there for 48 hours. His mother, Romechia Simms, was charged with manslaughter and child abuse following the horrific discover in May last year. Following a plea deal on Monday, the 25-year-old was told she would not be jailed or face time in a mental institution. Simms, who was homeless and suffered mental health problems, admitted a lesser charge which meant she was not criminally responsible for her son's death. Authorities said Simms and her son first came to the park about 11:15am on May 20 - a full two days before they were discovered. He was alive when she placed him in the swing, Diane Richardson from the sheriff’s office said.